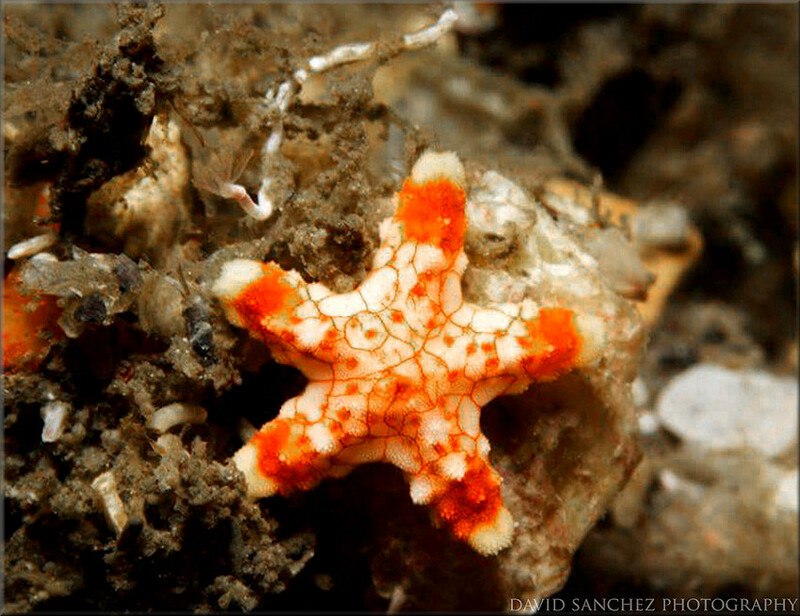 This specimen was photographed in the Lake Worth Lagoon, Palm Beach Inlet, Palm Beach County, Florida by David Sanchez. Digital image copyright 2015 by David Sanchez. The species identification is tentative and is based upon the fact that the pictured specimen has spines, blunt arm tips and the species is known to live in the Lake Worth Lagoon. Also, the eggs and larvae of E. sentus are reddish orange in coloration. It is believed that young of the species that are this size have not (to our knowledge) been photographed. Additional information based on scientific study of photographs and specimens is required to confirm the identification.